• Note: these are average prices only – costs vary considerably from school to school, so shopping around is very much advised! You might well wonder why anyone would train in a 4-seater when you could save nearly £1000 in the 2-seat option. However, which aircraft you train in has a lot to do with how tall, dark and handsome you are (and whether you enjoy a pie or two). Most schools have a weight limit for 2-seater planes of around 14 stone and a height limit of around 6 feet 2 inches. In General Aviation (the world of light aircraft) size matters, and plays a large part in which aircraft you fly! The Medical: To fly recreationally you will need a class 2 medical, which costs around £200.. The medical is nothing to be feared and most reasonably healthy people should have no problems. It’s a good idea to get your medical early on though – it’d be very disappointing to find out after shelling out thousands that you can’t fly legally! Membership Fees: Most schools require you to become a member before you can fly. Fees might set you back £150 on average. Radio Telephony Licence: You need to have this before taking your PPL test. The cost varies but on average it would be about £200. Study materials: You will need to purchase several study books for the PPL ground exams, as well as maps and a few other bits of navigational equipment. These can be bought separately as and when you need them, but some companies offer a package with everything you’ll need for around £250 (they even come in a very natty pilot’s bag!). The 9 Written Exams: Yes, just like with driving, there’s a theory test… or 9! At an average of £30 per exam, we get £270. Test Fee: This is the fee that you pay to the examiner on the day of your PPL practical test – usually about £200. Aircraft Hire for Test : The test lasts at least 2 hours so that’s £320 for the 2-seater and £360 for the 4-seater on average. 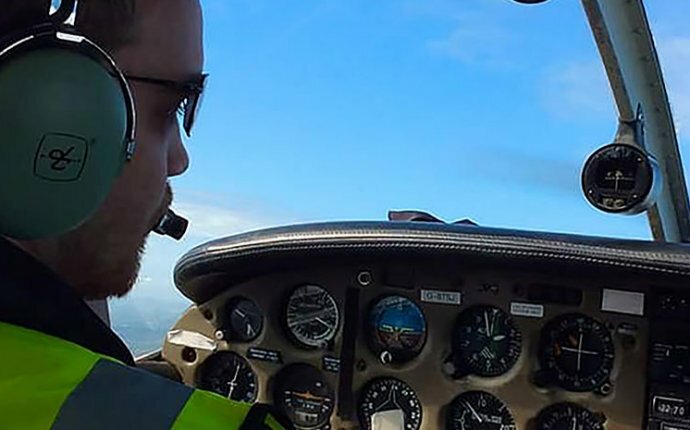 Pilots Licence Issue Fee: Even when you’ve finally passed your test you can’t fly alone until you’ve had your shiny new Private Pilots Licence issued by the Civil Aviation Authority (CAA). This currently costs £183.